First Aid at Work Level 3 (FAW) is ideal for most businesses whose risk assessment has identified that they require a fully trained first aider for their workplace. All First Aid at Work courses are delivered, evaluated and quality assured to meet the new guidelines set out by the HSE in October 2013 and meet the requirements of the First Aid at Work (First Aid) regulations 1981. 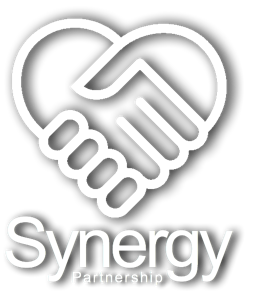 The Synergy Partnership First Aid at Work course is £170 per person and reviewed by our customers as 5 out of 5 (9 reviews). Who is the First Aid at Work course for? 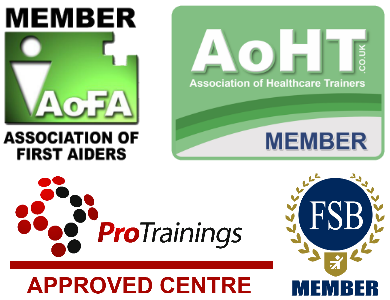 Anyone wanting to become an accredited first aider in their workplace where the risk assessment requires a trained first aider qualified in first aid at work. Guidance can be found at the HSE website. For those with an existing certificate, First Aid at Work Requalification may be appropriate. A First Aid at Work course must be at least 18 contact hours and run over a minimum of 3 day and the certificate is valid for 3 years. To renew you need to attend a 12 contact hour 2 day First Aid at Work requalification course. The First Aid at Work course must be delivered as a 100% classroom course and cannot be delivered via online or blended training to comply with the HSE requirements. Assessments are undertaken by the instructor during the course. On passing the course you will receive a First Aid at Work certificate, a wallet card and a first aider badge so that you can be easily identified. The certificate is valid for three years.